This is particularly problematic, because, after more than a decade of fighting crisis and recession, the advanced economies have depleted their ammunition for countering a slowdown. With the ECB’s benchmark interest rate at zero, there is little room for a cut. 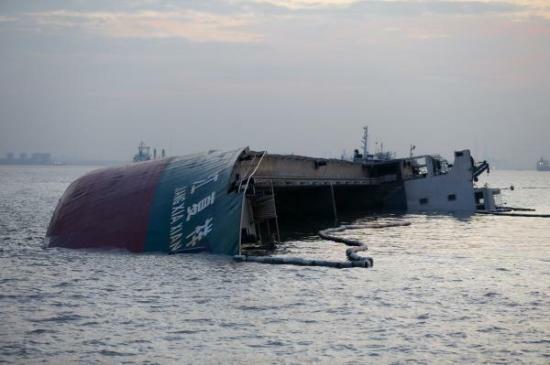 A dramatic and sudden slowdown in the rate at which numerous commodities are being shipped to China suggests slowing demand for raw materials in the world’s second-largest economy, and signals a wider economic slowdown globally looms. “Recent shipping data has turned negative with charter rates across all sectors notably weaker compared to late November levels,” Morgan Stanley analysts Fotis Giannakoulis, Qianlei Fan, and Max Yaras wrote. During the last six weeks almost all shipping sectors have seen charter rates move lower, raising concerns about the health of underlying demand. 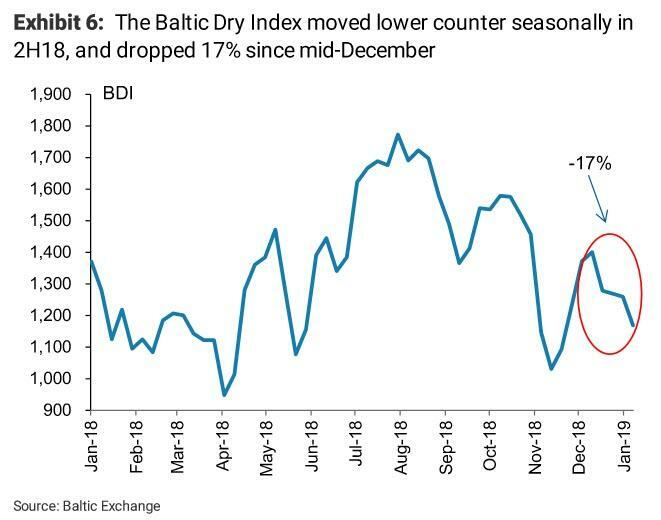 The Baltic Dry Index is down 17% since mid-December (Exhibit 6) with all vessel types earning lower rates compared to a year ago despite the sharp drop in dry bulk supply growth. 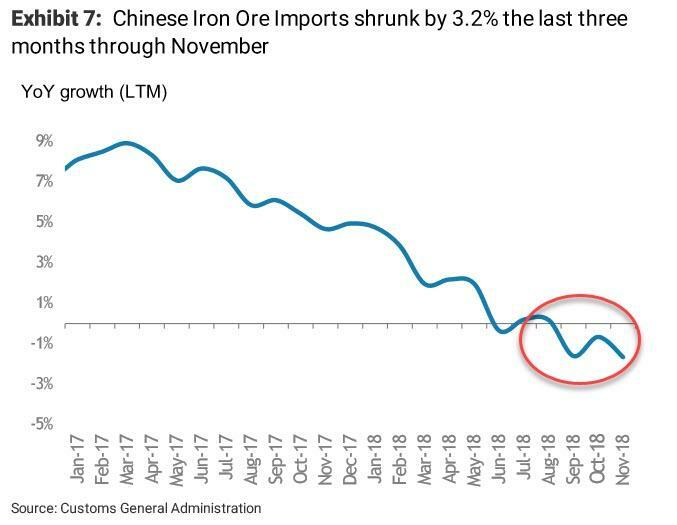 Meanwhile, data from China Customs show that iron ore imports shrunk by 3.2% in the last three months through November (Exhibit 7), while steel margins have recently turned negative. 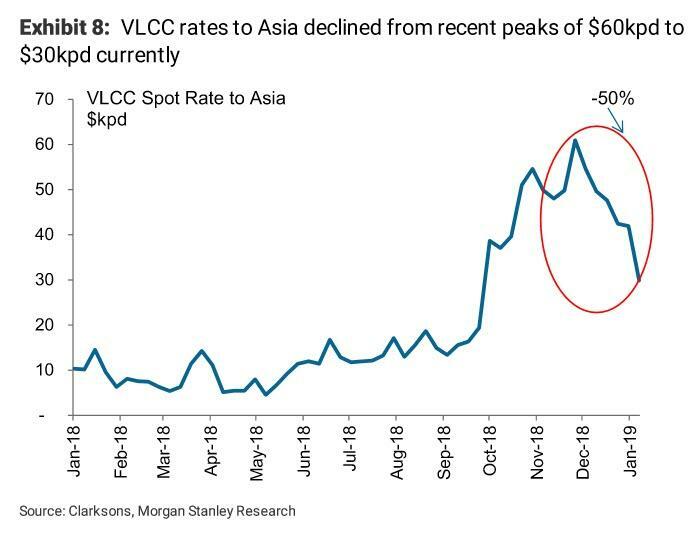 On the crude side, VLCC rates to Asia have also seen a notable decline, falling from $60 in November down to $30k currently (Exhibit 8) with crude flows to China showing signs of decelerating momentum. According to ClipperData, in 2018 crude flows to China remained strong, growing by 7.6%, but below the 10.1% growth rate seen in 2017. Over the last four weeks data shows further declines, although this is mostly attributed to the slowdown in supply due to the OPEC+ cuts, as well as delays at Chinese ports. Chinese exports and imports even though China’s trade balance with the US rose. Eamonn Sheridan at Forex Live has some interesting comments on China’s December Trade Balance. The export figures are a focus and they are poor indeed. But save some space in the barf bag for the import results, they are terrible – huge miss on these. Demand in China has been showing evidence of slowing. This is a nail in the coffin. Including $13bn in US asset divestitures by Chinese investors, China’s net US investment actually shrank by $8bn in 2018. Another day, another weak set of Chinese data. A fresh set of troublingly poor data out of China has investors running for cover on Monday, with all major stock indexes around the world losing ground on the week’s first trading day. Trade data showed that the value of Chinese imports and exports fell heavily in the year to December. The news has pushed stocks around the world lower, with futures pointing to losses of as much as 0.9% for the Nasdaq when US markets open later Monday. European and Asian shares have also dropped, with the market further hindered by thin liquidity in Asia as Japanese traders enjoy a public holiday. Follow the latest stock moves at Markets Insider. The value of Chinese imports and exports fell heavily in the year to December, adding to a lengthening list of evidence that all is not well in the world’s second largest economy. According to China’s General Administration of Customs, the value of exports tumbled 7.6% from a year earlier in US dollar terms, coming in well below the median economist forecast offered to Reuters for an increase of 5%. The year-on-year drop in imports and exports was the largest since the second half of 2016. That conclusion came from a new report from the World Bank, citing a variety of data, including softening international trade and investment, ongoing trade tensions, and financial turmoil in emerging markets over the past year. 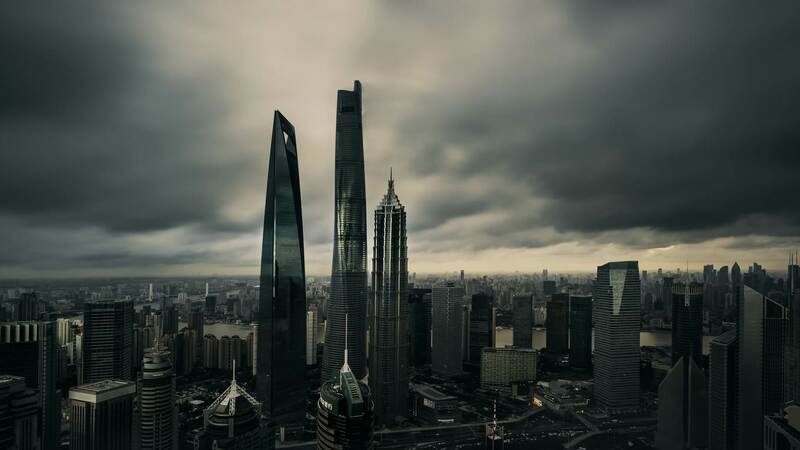 “Storm clouds are brewing for the global economy,” the World Bank warned. One of the key backdrops to this assessment is the rate tightening from the U.S. Federal Reserve. “Advanced-economy central banks will continue to remove the accommodative policies that supported the protracted recovery from the global financial crisis ten years ago,” the World Bank report said. After several rate hikes in 2018, the Fed had suggested that two more were on the way in 2019, although the central bank’s chairman Jerome Powell recently softened that tone. Growth contracted in Japan, Italy and Germany in the third quarter of last year, and financial turmoil rocked global equities in the final few weeks of 2018. “At the beginning of 2018 the global economy was firing on all cylinders, but it lost speed during the year and the ride could get even bumpier in the year ahead,” said World Bank Chief Executive Officer Kristalina Georgieva. 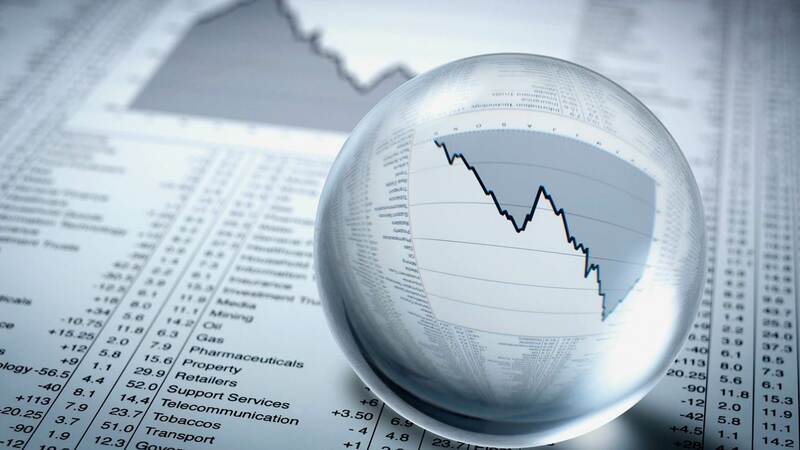 Even people who don’t follow the stock market closely are aware that the global economy is weakening and appears to be heading into recession. For those who track the stock market, the signs are ominous: the U.S. was the last major market to notch gains this year and in October the U.S. market followed the rest of the global markets into an extended slide which has yet to end. Just as sobering, key sectors such as oil, banking and utilities have crashed with alarming ferocity, reaching oversold levels last seen in 2008 as the global financial system was melting down. These sectors crashing sends an unmistakable signal: the global economy is heading into a potentially severe recession and assets will not be rising in value in a recessionary environment. So better to sell risk-assets like stocks now rather than later, and rotate the money into safe assets such as Treasury bonds. And indeed, households now own more Treasuries than the Federal Reserve–a remarkable shift in risk appetite. Many other indicators of recession are in the news: auto and home sales and global trade are all slumping. Are we in a repeat of the global financial meltdown and recession of 2008-09? The sharp drop in equities is certainly reminiscent of 2008. Indeed, the December decline is the worst in a decade. Or are we entering a different kind of recession, the equivalent of uncharted waters? And if we are entering a recession, what can central banks and governments do to ease the financial pain and damage? We can’t be sure of much, but we can be relatively confident central banks and states will respond to the cries to “do something.” This poses two questions: what actions can central banks/states take, and will those policies work or will they backfire and make the recession worse? Oil, copper and lumber are all telling us the exact same thing, and it isn’t good news for the global economy. When economic activity is booming, demand for commodities such as oil, copper and lumber goes up and that generally causes prices to rise. But when economic activity is slowing down, demand for such commodities falls and that generally causes prices to decline. In recent weeks, we have witnessed a decline in commodity prices unlike anything that we have witnessed in years, and many are concerned that this is a very clear indication that hard times are ahead for the global economy. The International Energy Agency said on Wednesday that while US demand for oil has been “very robust,” demand in Europe and developed Asian countries “continues to be relatively weak.” The IEA also warned of a “slowdown” in demand in developing nations such as India, Brazil and Argentina caused by high oil prices, weak currencies and deteriorating economic activity. “The outlook for the global economy has deteriorated,” the IEA wrote. The message of weakening demand on the oil front was reinforced by the falling price of copper. Almost 5,000 miles from the city in which his corpse was secretly buried – in one piece or in bits – by his Saudi killers, Jamal Khashoggi’s murder now rattles the scruples and the purse-strings of yet another country. For Canada, land of the free and liberal conscience – especially under Justin Trudeau – is suddenly confronted by the fruits of the bright young prime minister’s Conservative predecessors and a simple question of conscience for cash: should Trudeau tear up a 2014 military deal with Saudi Arabia worth $12bn? When Ottawa decided to sell its spanking new light armoured vehicles (LAVs) to the Saudi kingdom, the Saudis already had a well-earned reputation for chopping off heads and supporting raving and well-armed Islamists. But Mohammed bin Salman had not yet ascended the crown princedom of this pious state. The Saudis had not yet invaded Yemen, chopped off the heads of its Shia leaders, imprisoned its own princes, kidnapped the Lebanese prime minister and dismembered Khashoggi. So the Conservative Canadian government of Stephen Harper had no scruples about flogging off its LAVs – as these little armoured monsters are called – to Riyadh, specifically for the “transport and protection” of government officials. Now you can hardly accuse Trudeau of being a supporter of the Saudi regime. Back in August, Mohammed bin Salman’s lads ordered the expulsion of the Canadian ambassador to Riyadh and closed down trade agreements with Canada after Trudeau’s foreign minister had complained about the arrest of women’s rights campaigners in the kingdom. The Canadians had made “false statements”, claimed the Saudis – whose own reputation for false statements would soon achieve proportions worthy of a Hollywood horror epic. Trudeau was in the Saudi doghouse as well as Washington’s because, only two months earlier, Trump had called him “dishonest and weak”. In what was incredibly appropriate timing given the ‘shocktober’ market blowup, Bloomberg News invited “Black Swan” author Nassim Taleb to its set on Halloween for a discussion about the increasingly fragile market ecosystem in which we all reside, and the mounting risks that, Taleb believes, could soon ignite another financial crisis that will be even more severe than what we saw in 2008. Taleb, dressed up as “black swan man”, wasted little time in explaining how the global economy is becoming increasingly vulnerable to a global debt crisis, how the global quantitative easing did nothing to fix the underlying problem of too much debt – instead it exacerbated it – and how the inevitable reckoning might play out in markets once the long-dreaded “inflection point” finally arrives. Taleb began the interview by describing how the global aggregate debt burden has only climbed since the crisis. And while this debt is no longer dangerously concentrated in a single sector, like, say, the housing market, it doesn’t change the fact that the overall credit risk in the system has been amplified. And while central banks have for years managed to impose metastability in global markets, as they transition from a period of low interest rates back to “neutral”, the destructive forces that they long suppressed will surge back to the surface. Just like he did in the run-up to the 2008 crash, Taleb isn’t trying to forecast the next crash; he’s only trying to explain how the global economy has become “more fragile today” than it was in 2007. Oil declined more than 3% on Thursday, and extended those losses Friday, with ICE West Texas Intermediate (WTI) Light Sweet Crude Oil Futures probing lows not seen since April, due to weakening global demand at a time when the output from the Organization of the Petroleum Exporting Countries (OPEC), Russia, and the U.S. is rising. Record crude production from the U.S. and Russia, along with a surge from OPEC, has once more created oversupplied conditions. Oil prices started declining in early October on fears that global economic momentum was waning as the U.S-China trade war escalates, and a slowdown in emerging market economic data (primarily in Asia) was becoming more evident. WTI has plunged 17% since its 76-handle probe in early October. Analysts told Reuters they anticipate more selling in coming sessions, noting that oil did not bounce on Thursday on weakness in the dollar, nor did it positively correlate with the rebound in equity markets. Besides global growth momentum waning, another reason for downward pressure in oil could be that Washington just granted several waivers on sanctions on Tehran, allowing countries like South Korea, Japan, and India to continue to import Iranian crude (in other words, more supply). 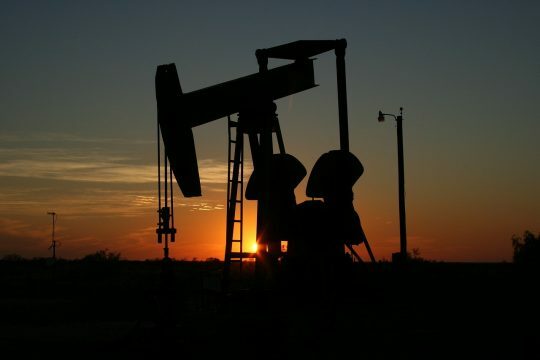 John Kemp, Reuters Senior Market Analyst of Commodities and Energy, believes oil prices are falling as a broad range of financial and real-economy indicators show the global economy is slowing. “The depth and duration of the slowdown is impossible to gauge at this point, whether it turns out to be simply a mild and short-lived “soft patch”, a longer but still positive “growth recession” with output falling relative to trend, or an “outright recession” with activity falling in absolute terms. 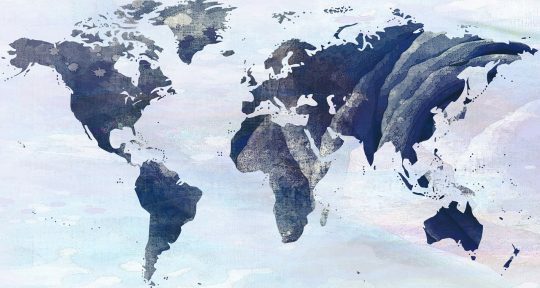 Where is the world economy heading? In my opinion, a large portion of the story that we usually hear about how the world economy operates and the role energy plays is not really correct. In this post (to be continued in Part 2 in the near future), I explain how some of the major elements of the world economy seem to function. I also point out some relationships that tend to make the world’s economic condition more fragile. Trying to explain the situation a bit further, the economy is a networked system. It doesn’t behave the way nearly everyone expects it to behave. Many people believe that any energy problem will be signaled by high prices. A look at history shows that this is not really the case: fighting and conflict are also likely outcomes. In fact, rising tariffs are a sign of energy problems. The underlying energy problem represents a conflict between supply and demand, but not in the way most people expect. The world needs rising demand to support the rising cost of energy products, but this rising demand is, in fact, very difficult to produce. The way that this rising demand is normally produced is by adding increasing amounts of debt, at ever-lower interest rates. At some point, the debt bubble created to provide the necessary demand becomes overstretched. Now, we seem to be reaching a situation where the debt bubble may pop, at least in some parts of the world. This is a very concerning situation. Context. The presentation discussed in this post was given to the Casualty Actuaries of the Southeast. (I am a casualty actuary myself, living in the Southeast.) The attendees tended to be quite young, and they tended not to be very aware of energy issues. I was trying to “bring them up to speed.” This is a link to the presentation: The World’s Fragile Economic Condition. Thanks to increasing demand and upcoming U.S. sanctions against Iran, oil prices have been rising and some analysts are forecasting that they will surge even higher in the months ahead. 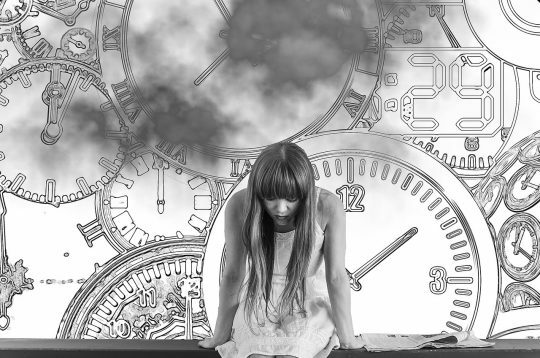 Unfortunately, that would be very bad news for the U.S. economy at a time when concerns about a major economic downturn have already been percolating. In recent years, extremely low gasoline prices have been one of the factors that have contributed to a period of relative economic stability in the United States. Because our country is so spread out, we import such a high percentage of our goods, and we are so dependent on foreign oil, our economy is particularly vulnerable to gasoline price shocks. Anyone that lived in the U.S. during the early 1970s can attest to that. If the average price of gasoline rises to $4 a gallon by the end of 2018 that will be really bad news, and if the average price of gasoline were to hit $5 a gallon that would be catastrophic for the economy. U.S. oil prices rose on Tuesday, breaking past $70 per barrel, after two Gulf of Mexico oil platforms were evacuated in preparation for a hurricane. U.S. West Texas Intermediate (WTI) crude futures were at $70.05 per barrel at 0353 GMT, up 25 cents, or 0.4 percent from their last settlement. If we stay at about $70 a gallon, that isn’t going to be much of a problem. Oil prices have retreated as disrupted supply from Libya has started to come back online, threatening the recent gains in oil prices. But a bigger threat to crude over the second half of 2018 and into 2019 is a slowdown in the global economy. “Growth generally remains strong in advanced economies, but it has slowed in many of them, including countries in the euro area, Japan, and the United Kingdom,” the IMF said. As John Kemp of Reuters points out, these are signs that the U.S. economy is in a late stage of an economic growth cycle, with growth topping out, inflation picking up, rising interest rates and an inversion in the yield curve for U.S. treasuries, which tends to precede recessions. As has happened in the past, the last phase of an economic expansion has often coincided with a surge in oil prices, which is then followed by both a dip in oil prices and an economic contraction. The recessions following the price spikes in 1973 and 2008 are the most obvious, but not the only examples.